“The plan? 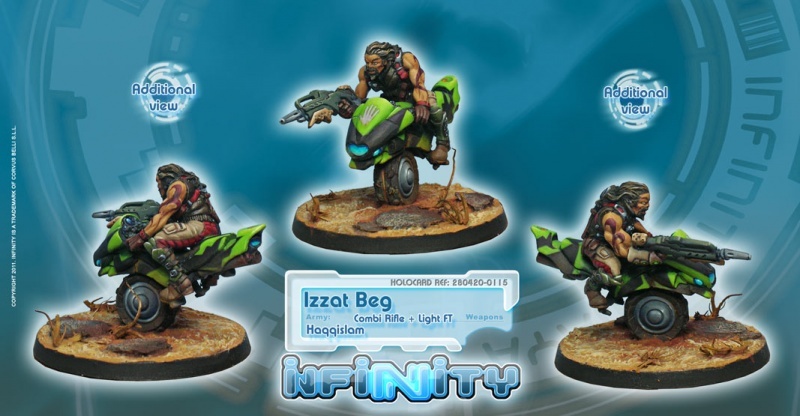 Penetrating their lines at full speed, buzzing like a cannonball, shooting and killing anything that moves...” Izzat Beg is an outlaw, a rebel and guerrilla leader of the Kum kirguiz troops. He earned a notorious reputation as a bandit on the Silk Route, the scourge of Haqqislamite merchants. He attacked caravans, stole cargos and kidnapped drivers and passengers in order to get a ransom or sell them as slaves. At 24 he was the right hand of Buzurg Khan, the most important kirguiz mafia boss. Three years later, in a swift operation, Beg would do away with Khan, snatching power out of his hands. Under his command, pillaging continued and his illegal business prospered. Haqqislamite authorities, unable to stop him, persuaded him to stop his banditry by offering him the rank of officer in the army. Izzat Beg accepted, very pleased, dragging many of his men behind him, who were happy with the possibility of seeing more action. Nevertheless, it cannot be said that Izzat Beg has dropped his shady business or has been respectable since then. Izzat Beg belongs to the true and wild caste of the Kum kirguizes and he is the toughest of them all. Those who have fought on his side say his best qualities are a sharp intelligence, an inability to let panic overtake him and a superb sense of opportunity. The combination of these three virtues makes Izzat Bet a leader and kirguiz fighter unique in his time and country, hated and admired for his deeds. He lives completely free in Haqqislam, enjoying falconry, fighting in Haqqislamite campaigns and ruling his semi-independent region without great riches or military units but with great willpower.